PARTNER NEWS: Digital security giant Gemalto has launched Dynamic Code Verification, a payment security solution that replaces traditional, static three-digit security codes with a time-based dynamic CVV/CVC that changes every 20 minutes and can be displayed on a customer’s mobile device or a display-enabled payment card. The solution can be used for in-store payments and ATM withdrawals as well as to secure ecommerce transactions, Gemalto says. 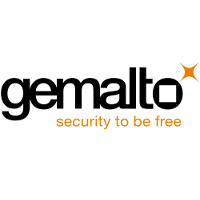 Amsterdam, Oct. 13, 2015 – Gemalto (Euronext NL0000400653 GTO), the world leader in digital security, announces the launch of Dynamic Code Verification, a comprehensive payment security solution that protects against Card-Not-Present (CNP) fraud on-line and ensures an easy user-experience cardholders have come to expect. This complete dynamic CVV/CVC solution includes an EMV payment display card that secures traditional in-store and eCommerce payments, ATM withdrawals, a mobile version, a validation server and associated services. The mobile offer is unique to Gemalto, supporting the digital vision of banks with mobile at the forefront of their business strategies. The solution allows issuers to replace the static 3-digit visual cryptogram traditionally used for online purchases with a time based dynamic CVV/CVC displayed on the customer’s payment card or on their mobile. The code changes every 20 minutes, dramatically enhancing the security level of online transactions. The Nilson Report estimates that total global fraud losses were $16.31 billion in 2014, a rise of 19% year-on-year. CNP fraud accounted for 25% of this figure, and is set to increase significantly. Banks have started to introduce solutions that provide a higher level of security but these can still be time consuming and impact on the overall customer experience. As a result the shopping cart abandonment rate is staggering, with 68%* of online transactions initiated not completed. Consumer study and user testing recently conducted by an independent market research firm has demonstrated that end users intuitively understand the security benefits of this display bank card and are more likely to use this bank card as their first choice for everyday card transactions**. Enhanced technology also delivers a long product lifecycle, with battery life typically extending to four years.